Here’s a PowerPoint presentation that will convince any spouse to let their husband buy a new 2014 Corvette Stingray C7 or any other Corvette you may want. 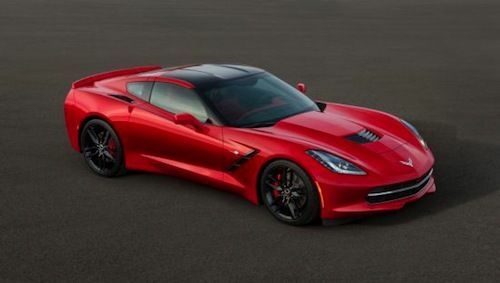 Many husbands would love to buy a new 2014 Corvette Stingray, but it can be really hard to convince our wives that its a need and not just a want. The all-new 2014 Corvette C7 isn’t even available for production yet, so this will give husbands time to get comfortable with this PowerPoint presentation that was put together by Roy El-Rayes. The creative husband put together this presentation called “I would like to purchaser a Corvette tomorrow.“ And it worked! El-Rayes reports in the comments on a Reddit post that she said yes. So we already know that it works. As most wives are in charge of the purse strings, El-Rayes needed an extra bit of creativity to convince his wife that a shiney new Corvette was better than the Jeep she had agreed needed to go. She had actually agreed to him getting a C6 Corvette, but he ran into a slight problem when the Corvette he wanted was a lot more than anticipated. Roy El-Rayes succeeded in convincing his wife he wanted and needed a Corvette C6 Z06 by using the sort of professionalism that only a PowerPoint presentation can provide. The crafty husband got busy on his computer and put in much thought and creativity into the presentation, along with some humor and outright flattery. El-Rayes uses some very sound fiscal reasoning, smart comparisons between the Jeep and the Corvette, where it's made, a cute kitten for emotional effect and what probably convinced his wife the most was his affection for his wife’s arrears. Here is a brief summary of El-Rayes presentation to get an idea of what you will need to do. He started with gas savings, cost, Jeep trade-in value, and resale value of the Corvette. Those are all practical and logical. He also told his wife where he could find the extra money since it was over budget. This is always good as wives love to save money by spending it. Then he was very smart and appealed to her emotions. He made some extra promises that she had been hounding him about, the differences between the Corvette and the Jeep, its made in America, and the best one you can see for yourself on the flip chart below. El-Rayes finished with a strong final argument and then asked for his wife’s thoughts. The entire presentation is brilliant and can be used by any husband to get that all-new 2014 Corvette C7 Stingray. And remember, the new Corvette isn’t available just yet so you have time to practice your presentation skills. Click here to flip through the brilliant pitch to his wife.